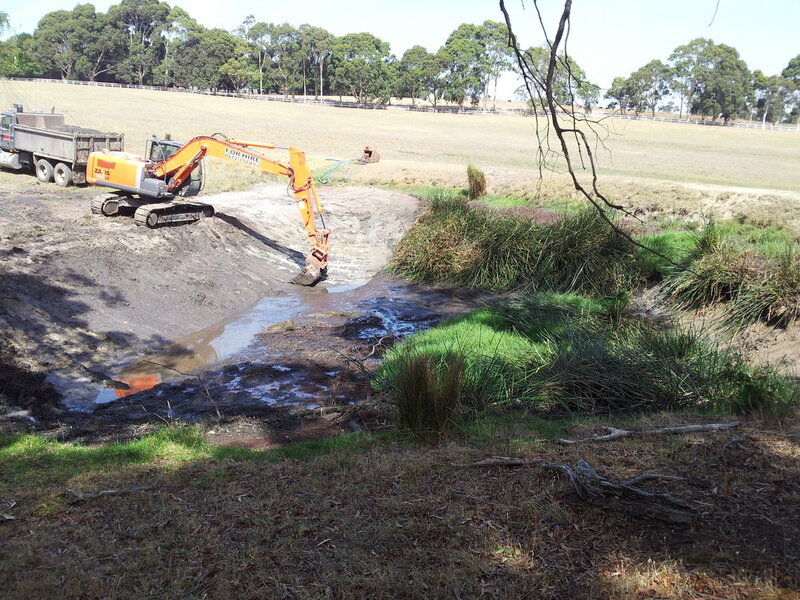 We are highly experienced at cleaning existing dams, excavating new dam sites, and performing major repair or rehabilitation works. Using the latest in technology we provide specialist services in laser leveling and dual grade accuracy, which ensures that your tennis court, bowling green or horse arena is precision graded and correctly drained. We can either establish new or resurface existing sites. We specialise in site clean up and disposal of trees, stumps, blackberries and any unwanted bush or other materials. All waste can be removed or disposed of on site. 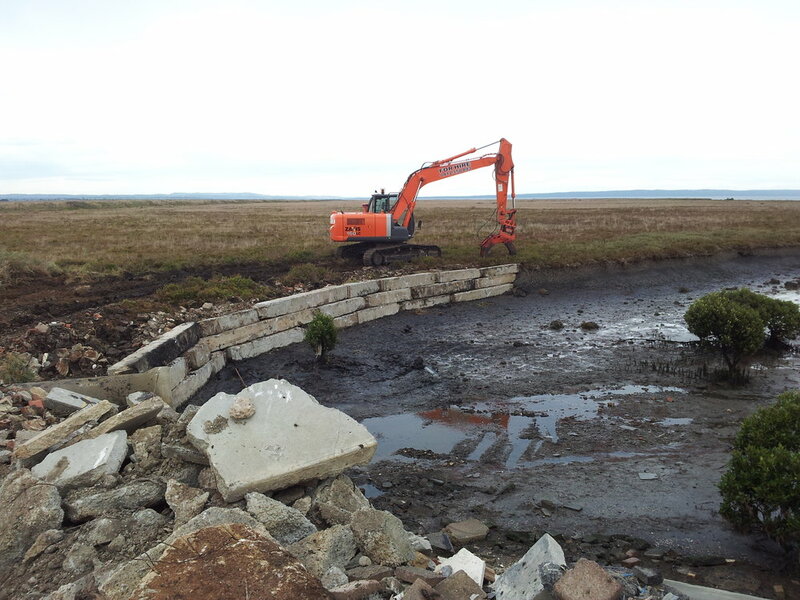 We can cut new site access tracks, repair existing access roads and perform erosion control. Our highly accurate laser leveling equipment can provide consistent dual grade accuracy in two directions simultaneously and quickly ensure uniform accuracy and high tolerance across the entire site. Some of our customers jobs include: Chicken shed floors, factory floors, tennis courts, hockey/soccer pitches, house sites, horse arena/menage and bowling greens. Equipped with rock breakers and hammers our excavators are able to dig in all types of rocky terrain, including granite, basalt or clay/shale. In extremely rocky environments we can even arrange for explosive demolition experts to assist in breaking up the largest rocks and fast track works. Whether you require post holes for a fence or pylons for retaining walls our extensive range of augers are capable of getting the job done fast. With provision to bore holes from 300mm to 1500mm diameter and a depth of 8m we can service all your augering needs. We offer extensive site excavation and construction development services including site cuts, laser leveling, footing excavation, trenches, augering, rock breaking, rock blasting and removal. With our fully equipped tip truck and trailer combinations we can carry large loads allowing us to both excavate and transport materials off site. 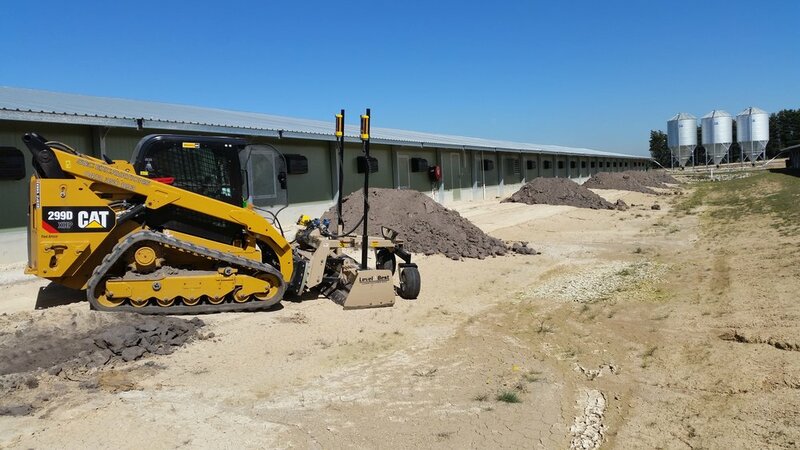 Our extensive range of equipment provides complete flexibility to perform all site cuts, laser leveling and preparation of building foundations. Our excavators come fully equipped with a range of bucket sizes and hydraulic grabs which allows us to dig, level or lift anything from from trees & stumps to large rocks, old cars or even building materials. Combined with our truck and trailer combination we can offer a competitive advantage that will help you save money and get the job done in a shorter time frame.